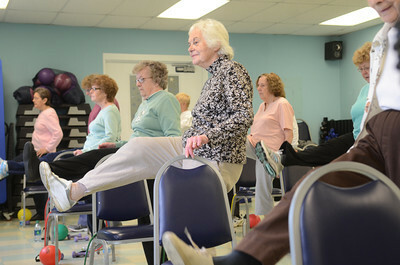 Arlene Maurer, Elysburg, uses a exercise band during a Silver Sneakers class for seniors at the Danville Area Community Center on Wednesday. 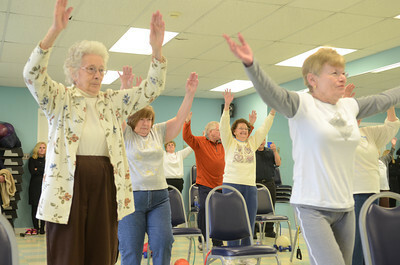 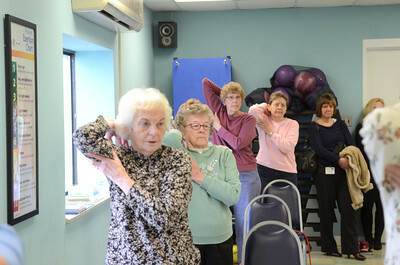 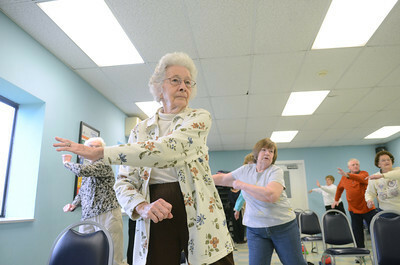 Eleanor Fahringer, Danville, exercises at a Silver Sneakers class at the Danville Area Community Center on Wednesday. 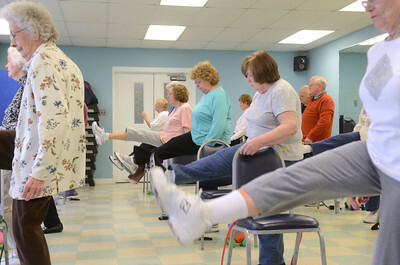 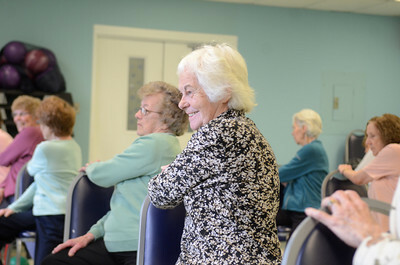 Seniors participate in a Silver Sneakers exercise class at the Danville Area Community Center on Wednesday. 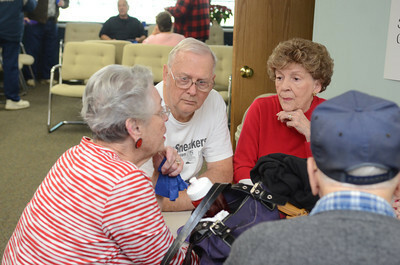 Linda Weckter, left,Mahoning Township, talks with Jim and Lois Kishbaugh of Mahoning Township, after taking part in the Silver Sneakers program at the Danville Area Community Center on Wednesday during the program's 10th anniversary celebration on Wednesday. 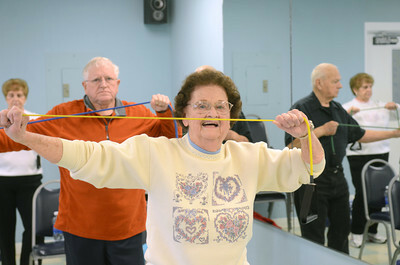 Dottie Grimm of Mayberry Township smiles while exercising during a Silver Sneakers class at the Danville Area Community Center on Wednesday.